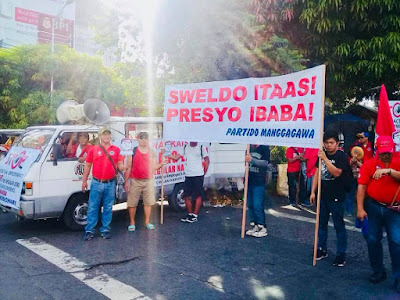 The labor group Partido Manggagawa observed that two years into the term of President Rodrigo Duterte, workers are facing rough times with rising inflation eroding wages and labor rights threatened with charter change. “Wages must be increased across-the-board nationwide to cope with inflation. 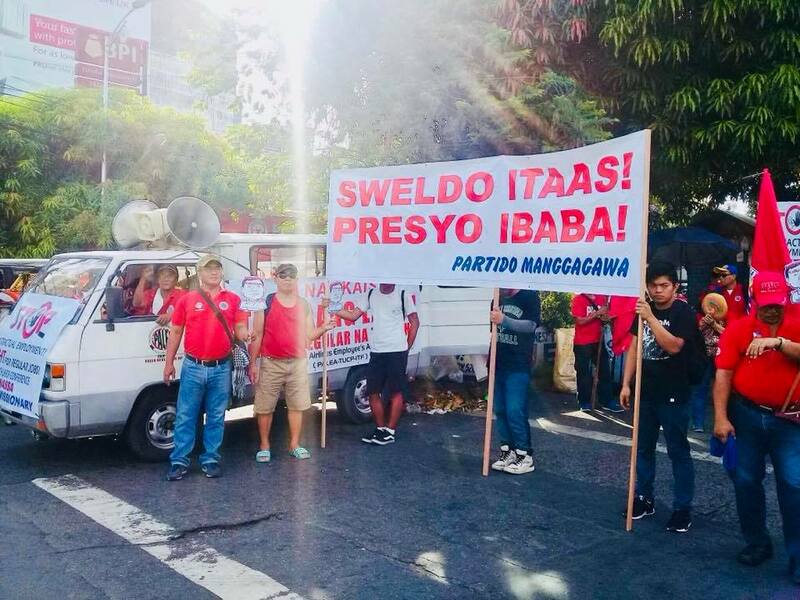 Charter change must also be stopped for it will lead to the deterioration of labor rights,” declared Rene Magtubo, national chair of PM. The group is concerned at the proposed new constitution approved by the Constitutional Committee tasked by President Duterte to draft the shift to federalism. PM vowed to mobilize workers in a campaign against the charter change. “Aside from the loophole that allows for term extension for the sitting president, the draft charter dilutes the rights of workers guaranteed under the present Constitution. Instead of strengthening labor and human rights, they are degraded in the anemic language of the draft Constitution,” Magtubo pointed out. PM noted that the draft charter dropped explicit recognition of workers’ rights to collective bargaining, to peaceful concerted action including strike, to humane conditions of work, to participation in policy making processes and to labor’s just share in the fruits of production. The group saw similar weakening in the language of protection for human rights and recognition of rights for other marginalized groups in the proposed charter. “No wonder the phrase ‘The State shall afford full protection to labor’ in the present Constitution was lost in the draft. Even as we assert that the present Constitution can be vastly improved, we will not allow it to be degraded in the meantime,” Magtubo explained.